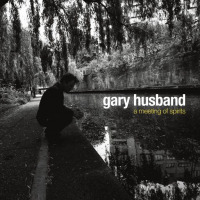 With friends as talented as those of pianist/drummer/keyboardist Gary Husband, the musical possibilities are mouthwatering and seemingly endless. 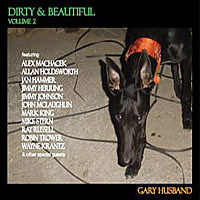 With a riotous assembly of jazz fusion greats playing their butts off, Dirty & Beautiful Volume 2 follows suit from Dirty & Beautiful Volume 1 (Abstract Logix, 2010). Several threads tie the two records together. 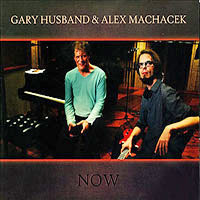 Many of the musicians here were on the first record, and Volume 2 is another guitar-centric feast, boasting animated performances from John McLaughlin, Allan Holdsworth, Mike Stern, Alex Machacek, Jimmy Herring and Wayne Krantz. Friendships are the common denominators throughout, and the playing is consequently open, exuberant and instinctive. Husband's increasingly assured synthesizer/keyboard work, which captivates as much as his tirelessly creative drumming, separates this from Volume 1. Keyboardist Jan Hammer may have inspired him, but Husband has an original voice. "If The Animals Had Guns Too" serves early notice of Husband's ability to kick up a storm while remaining musical. His unfettered solo follows a blistering six-string solo from UK veteran Ray Russell, with whom Husband collaborated on the Gil Evans tribute, Goodbye Svengali (Cuneiform Records, 2006). Russell's searing playing is an exhilarating cross between Sonny Sharrock and Jeff Beck, and is perfectly complemented by Husband, with his fearless leaps off the cliff, on keys. The intensity never dips during the heady "Rolling Sevens," which features Stern on a gnashing bop-metal solo. Husband's collaboration with saxophonist Sean Freeman on "Old Blues, New Bruise" is moodier, though no less powerful. The Level 42 tenor player's impassioned solo on this durable McLaughlin composition is an album highlight, though Husband's response on synthesizer very nearly steals the show. The shortest track, "East River Jam," marks the first recording of Husband with Krantz, whose inimitable rhythm 'n' grit dominates. 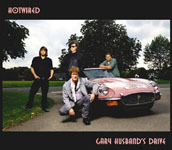 Husband cherry picked the musicians for each number, and the pairing of Holdsworth and Hammer on "Fred 2011" is particularly inspired. Hammer's Miami Vice-era "Rain," the most pop-inflected tune, is given teeth by guitarist Neil Taylor. Machacek's "Lock, Stock and Two Smoking Brothers" is an absorbing collaboration with Husband which glides between boppish lyricism and the Austrian guitarist's signature modernism. McLaughlin, bassist Mark King and Husband form a power trio on the darker, Miles Davis-inspired funk-jam, "Sulley," with the guitarist's burrowing solo buoyed by King's driving grooves and Husband's insistent beat. On an album of contrasts, Husband's elegiac "England Green" is the perfect vehicle for Herring's intensely emotional playing, with bassist Laurence Cottle acting as a subtly energizing presence. Also of note is Husband's meditative "Fuguie" for solo keyboard. This sublime mood piece would have made a finer closing statement than Miles Davis' overly familiar riff, "Yesternow-Epilogue," which is given the Jimi Hendrix treatment by guitarist Robin Trower. Though each track is a feature for one or more musicians, it's Husband's personality as a musician, composer and arranger that is the glue throughout this highly entertaining seta strong addition to Husband's discography, and surely one of the best of the year. 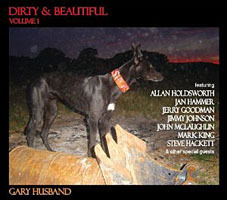 Track Listing: If Animals Had Guns Too; Rolling Sevens; New Blues, Old Bruise; East River Jam; Fred 2011; Rain; Lock, Stock & Two Smoking Brothers; Fugie; Sulley; England Green; Yesternow--Epilogue. 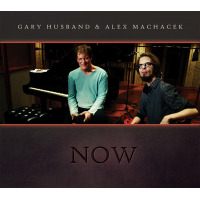 Personnel: Gary Husband: keyboards (1-4, 6, 8-11), drums (1-7, 9-11), percussion (2); Ray Russell: guitar (1); Jimmy Johnson: bass (1, 4); Mike Stern: guitar (2); Teymur Phell: bass (2); Sean Freeman: tenor saxophone (3); Wayne Krantz: guitar (4); Allan Holdsworth: guitar (5); Jan Hammer: keyboards (5); Neil Taylor: guitar (6); Alex Machacek: guitar (7), programming (7); John McLaughlin: guitar (9); Mark King: bass (9); Jimmy Herring: guitar (10); Laurence Cottle: bass (10); Robin Trower: guitar (11); Livingstone Brown: bass (11).